In exchange for a $30 fee, Pumpkin Pedal riders get a T-shirt, free small pumpkin and post-ride meal of “sloppy Dan’s” provided by Special Olympics athlete Danny James and his parents, Don and Judy. 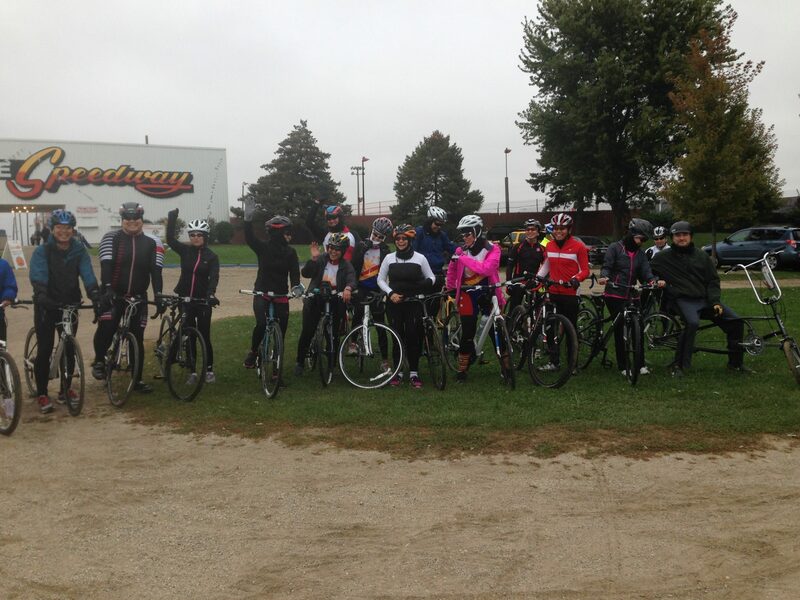 The Pumpkin Pedal began at Delnor Hospital that first year, but throughout the years, the event had to keep moving farther west to avoid increasing traffic, said Amy Kaylor, Far West Suburban Area Director. This year will be the second for the event to start at the Sycamore Speedway in Maple Park. Hal Honeyman of the Bike Rack in St. Charles has been a part of the event since the beginning by providing technical support. Also involved for nearly as long has been Rex Bohn of Bohn Illustrations who designs the T-shirts. “Everyone looks forward to seeing the new T-shirt design each year,” said Kaylor. 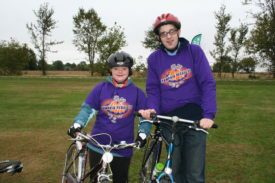 View the 2016 Pumpkin Pedal brochure or register online.